For full four decades, this model represents the Japanese manufacturer in the segment of pickup trucks. Also known as the Triton, it has been around since 1978. So far, there have been five generations of it. The current model is on the market since 2015 and the company has already prepared novelties. This segment is very competitive, especially outside North America, so this quick refresh isn’s surprise at all. The new model has been spotted on the road. It still wears a camouflage but we are pretty much sure what to expect from this update. It will be a classic facelift, which will bring lots of novelties, mostly in terms of styling. On the other side, interior design, as well as almost complete mechanics should remain the same. The new model will hit the market soon, probably by the end of the year. 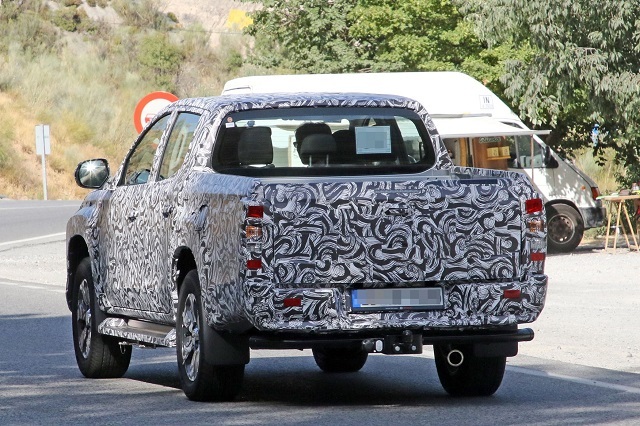 In terms of base design characteristics, the 2019 Mitsubishi L200 without any doubt remains the same. The popular truck will continue with the same overall shape, featuring familiar proportions. A wheelbase goes around 118 inches, while total length goes around 205 inches. The model will continue to be offered in the same variants. This means both work-oriented, single cab model, as well as a more comfort-oriented double cab model, with two rows of seating and plenty of comforts. On the other side, this update is about to bring lots of novelties in terms of styling. Just like every facelift, this one will also be pretty much all about visual upgrades. Compared to the current model, we will see an improved look, which will come with a bunch of new details for a better visual appeal. Of course, the area that will suffer most will be the front end. 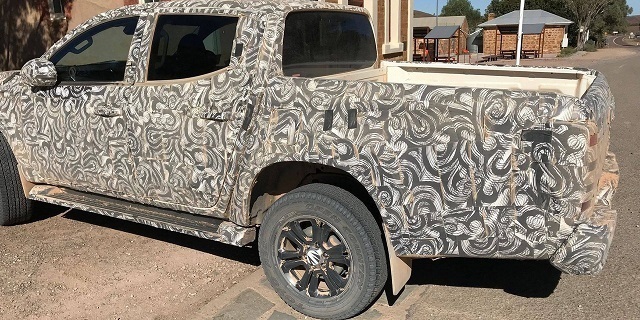 The testing model has been spotted on the road and it still wears a camouflage. Still, we can notice lots of work in areas like the front bumper, fascia, grille etc. However, it is still unclear will the headlights get some reshaping or something like that. When it comes to the other parts of the truck, expect changes too, just with a smaller intensity. We could see a few tweaks at the rear end, on the tailgate and rear bumper. Finally, expect to see new wheels design, as well as a few more exterior colors in the offer. 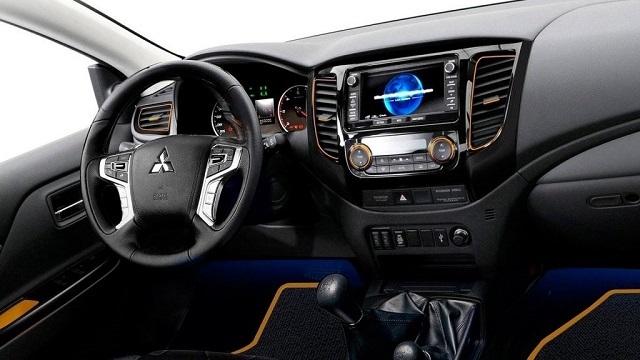 On the inside, 2019 Mitsubishi L200 probably won’t suffer that much. Unlike many competitors that put lots of effort on interior cosmetics, this one rather sticks to something simple. The dashboard design looks pretty simple, and it is also full of hard plastics. It might seem unusual, considering current trends in the automotive industry, but those who care more about capabilities will find this truck very useful. 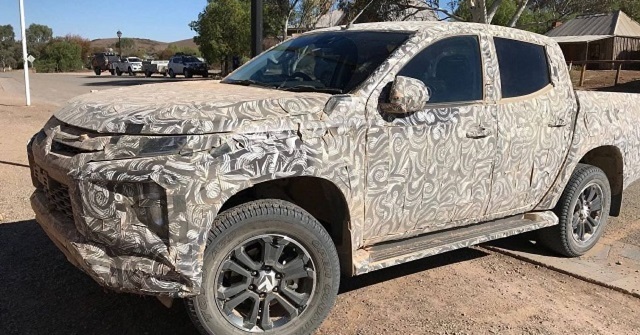 Besides simple cabin layout, the 2019 Mitsubishi L200 will actually be very well equipped. Even the current model comes with lots of tech features. For example, even a smartphone integration is a standard feature in most trim levels. For this update, each trim should get a few novelties in terms of standard features. Also, expect a few new color schemes in the offer as well. This area is definitely one of the trucks’ strongest points. Compared to most competitors, this one comes with a smaller diesel engine. Despite the smaller size, this unit is very efficient and provides plenty of power. On the other side, the fuel economy is amazing. 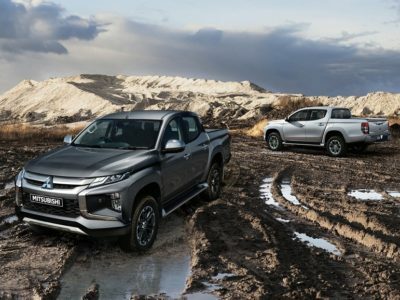 In this aspect, the 2019 Mitsubishi L200 will continue to be a class-leader, making a nice gap between the second-most-economical truck in the class, Isuzu D-Max. It is a familiar 2.4-liter four-cylinder turbodiesel engine, which is good for about 180 horsepower and 320 pound-feet of torque. On some markets, you can also find an older, but also a very capable 2.5-liter engine, which delivers around 175 horsepower and 260 pound-feet of torque. Finally, there is something for those who prefer gasoline. There is a 2.4-liter unit, which is good for about 150 horsepower and 160 pound-feet of torque. No matter the engine, you have a choice between manual and automatic transmission. Latest reports suggest that the new model could come late in the year, eventually in early 2019. When it comes to the price, we don’t expect bigger changes. Base versions should go around 22.000 dollars. Since the last year, the L200 also comes under Fiat’s badge. This model is known as the Fullback and it is pretty much a rebadged version of the popular truck. It features not only the same mechanics and engines but also identical styling as well. The only notable difference is at the front, on the grill. Also, it comes with Fiat’s steering wheel. 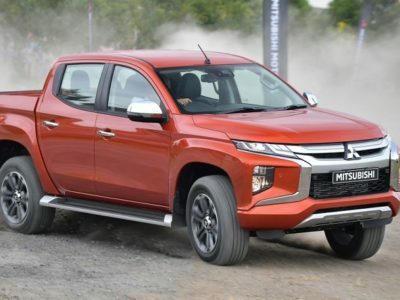 Rest of the truck is very same, which is no wonder at all, considering that two models are literally coming out from the same track of the Mitsubishi’s assembly in Thailand. 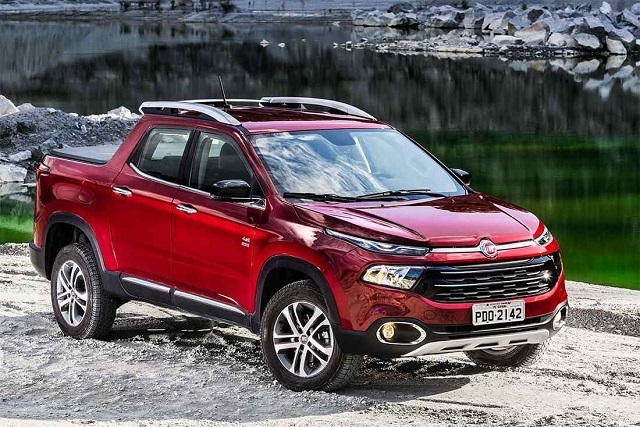 Will the 2019 Fiat Fullback adopt all those novelties, it is still unknown.